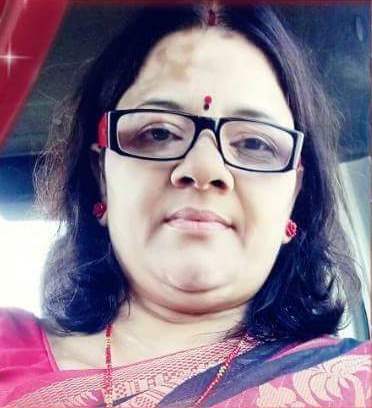 Prof. Mudita Agnihotri joined the department of English, Kanya Gurukul Campus, G.K.University, Haridwar in 1998. She is M.A. English (literature) and M.A. English (Language n Literature) from Bundelkhand University and Kanpur University respectively. She received her M. Phil. and Ph.D. in English from Kanpur University. She is actively engaged in research programme. She has produced thirteen Ph.D. and a number of P.G.projects. Her academic publications include the following books: Originality and Borrowings in the short stories of H.G.Wells, The Elements of Feminism in the Novels of Namita Gokhle, Impact of Gandhi on the Novels of Nayantara Sahgal. She has published a number of research papers in National and International journals of repute. She has a keen interest to spread the light of education among underprivileged girls and people in villages. She has motivated a number of girls for education and empowerment through corporate social Responsibility programme. She personally supports the students to be trained about diversity of skills, ability to handle difficult situations, environmental awareness among people with the cooperation of her enthusiastic scholars and students. She finds bonhomie with the key issues concerned with the LEGH Movement. She joined FSLE-India as its lifetime member and later appointed the Joint Secretary of its Uttarakhand Region.